Ra.One crashes the livestream server! At a place where all the gamers out there were invited and the ones who could not make it could view the same online has created a rage all by itself. 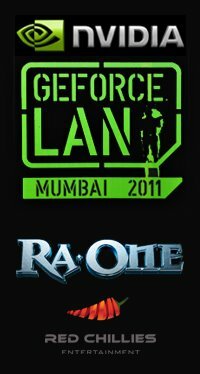 The Ra.One NVIDIA GeForce LAN Event happening NOW is anticipated’ly awaiting the presence of Shahrukh Khan at the event. Yes, its true Shahrukh Khan himself will be battling it out! The game allows ready to win prizes worth Rs.10 lakhs and a chance to battle it out with mega-star Shah Rukh Khan at the biggest gaming tournament ever! 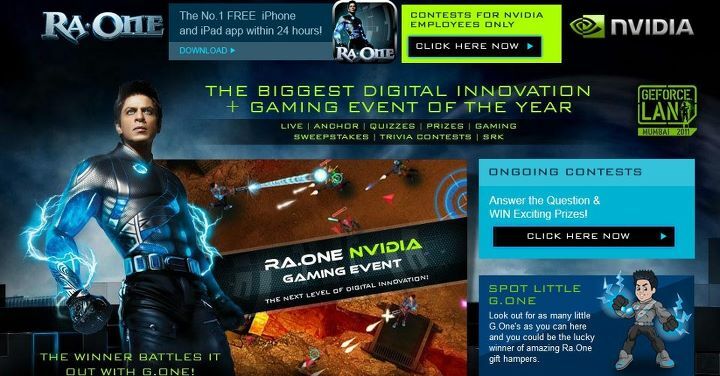 Fans and followers from all over the world have showered an overwhelming response at the LIVE stream of Ra.One NVIDIA gaming event, which has now CRASHED due to the crazy fanatics of Ra.One. The Ra.One mania is on!!! Never in the history of any Gaming Event for a movie promotion has it scaled new heights where fans and loved ones across the globe have tuned in for a sneak peek while some have made themselves comfortable and are watching the event and living the experience through the Ra.One LIVE stream which has now crashed and promises to resume soon! With informing users on the official Facebook fan page the movie has achieved new heights! Due to an overwhelming response from all you guys on the LIVE stream of Ra.One NVIDIA gaming event, our server is temporarily down and we’ll fix it up asap.. Stay Tuned!